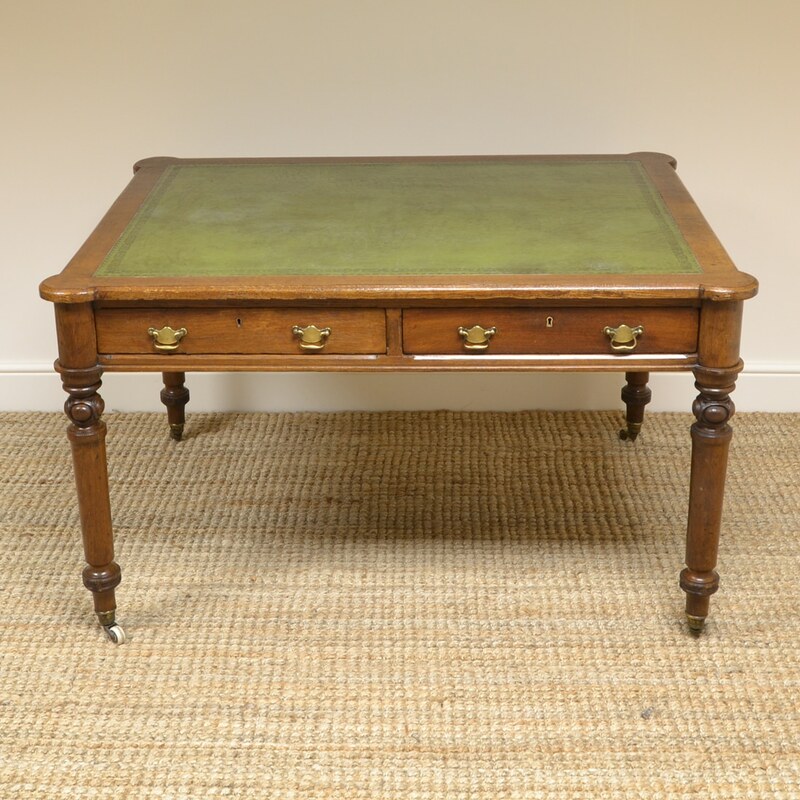 This Quality Victorian Oak Antique Partners Writing Table / Desk dates from ca. 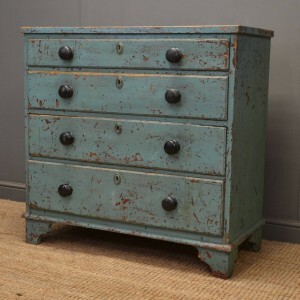 1880 and the top has an early green tooled leather writing insert with unusual lobed corners above two working drawers on either side with brass handles so it can be placed in the centre of a room if desired. 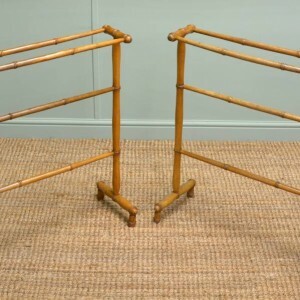 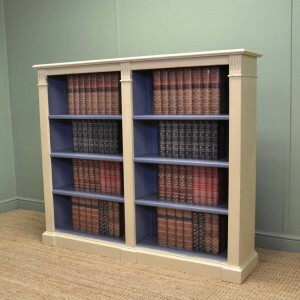 It stands on four beautifully turned legs with brass and white porcelain castors, is full of beautiful charm and character and has aged to a warm Oak shade with a striking grain, good patina, is in very good condition and has been beautifully cleaned using a traditional form of wax finishing.